BRISTOL SHOW: Exclusive launches from Fatman and Roth Audio | What Hi-Fi? 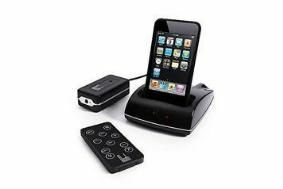 What's more, if your iPhone rings, the RothDock fades your music and you hear the ring through your hi-fi system. Roth Audio's debut entry-level all-in-one iPod/iPhone speaker system – retailing at £149 – will also take a bow. And if you're looking for a smart 5.1 speaker system, you can add the new KH2 subwoofer and new C2 centre channel to the existing Roth Audio OLi speaker range. Fatman will showcase its new iTube 202 on the same stand at Bristol. This revised valve amp replaces the outgoing iTube 182. Expect the 202 to retail around the £799 mark. The Fatman team is also planning the world exclusive launch of the Fat One phono stage – a vinyl-friendly unit to excel with the 'elder statesman' of music formats. Also taking to the stage for the first time are the Fatboy II speakers; replacing the curvaceous original Fatboy, this model will sell for £349.